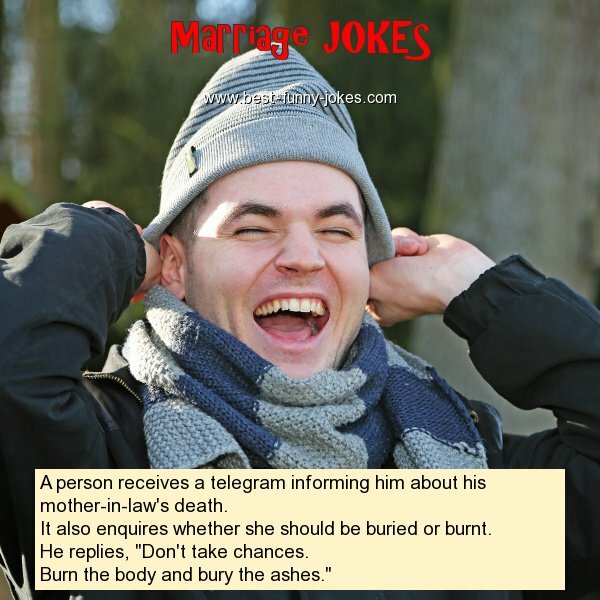 A person receives a telegram informing him about his mother-in-law's death. It also enquires whether she should be buried or burnt. He replies, "Don't take chances. Burn the body and bury the ashes."